Vintage-inspired micro florals lend a sophisticated attitude to this polished jumpsuit. Vintage-inspired micro florals lend a sophisticated attitude to this polished jumpsuit. 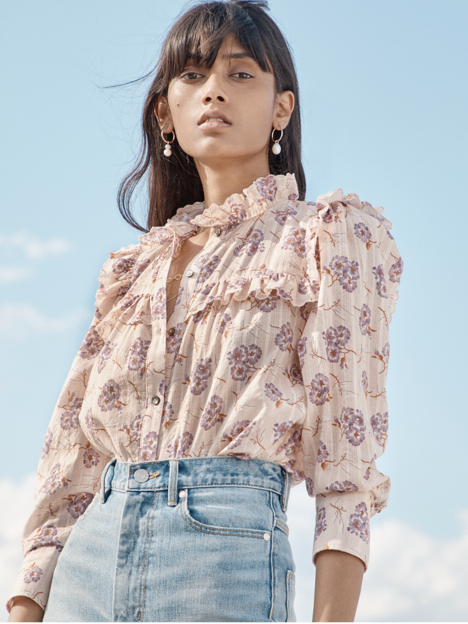 Designed in luxe silk, this wear-everywhere style features a flattering smocked waistline, tied elbow-length sleeves and wide-leg cropped pants. Inseam: 24 3/4" Front Rise: 11 3/4" Leg Opening: 28"